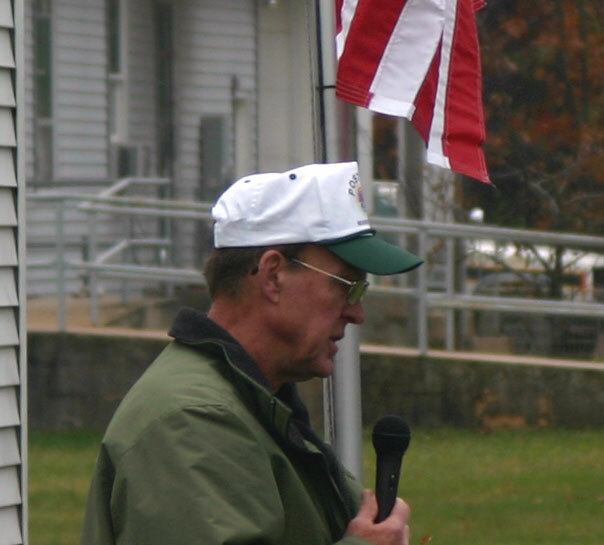 SILVER LAKE -- John Wolcott Works, Ph.D., of Silver Lake and Beaver Island, Mich ., passed away at age 79, on November 12 after a long illness. John was the son of John and Harriet Works of Salem, Ohio. His wife 52 years, Trudy, and three children survive him: Gabriel Works (John O'Connor) of Grand Rapids, Mich ., John Works, Jr. (Carolyn) of Beaver Island, Mich ., and Jeb Works (Denise) of Stow. He has three grandchildren, Michael, Matt, and Meg. His daughter, Margaret preceded him in death. John was a well-learned and well-traveled man of many interests. He was a retired Professor of Finance at the University of Akron , following a long career at Duquesne University . He received his M.B.A. and Ph.D. from Northwestern University , a J.D. from Ohio Northern Law School, and a B.A. from Brown University. Additionally, he was a graduate of Andover Academy. John was a veteran of the Korean Conflict. Cremation has taken place. Friends may call at his home (Silver Lake) from 5 to 7 p.m. on Wednesday, November 14 to celebrate his life with his family. 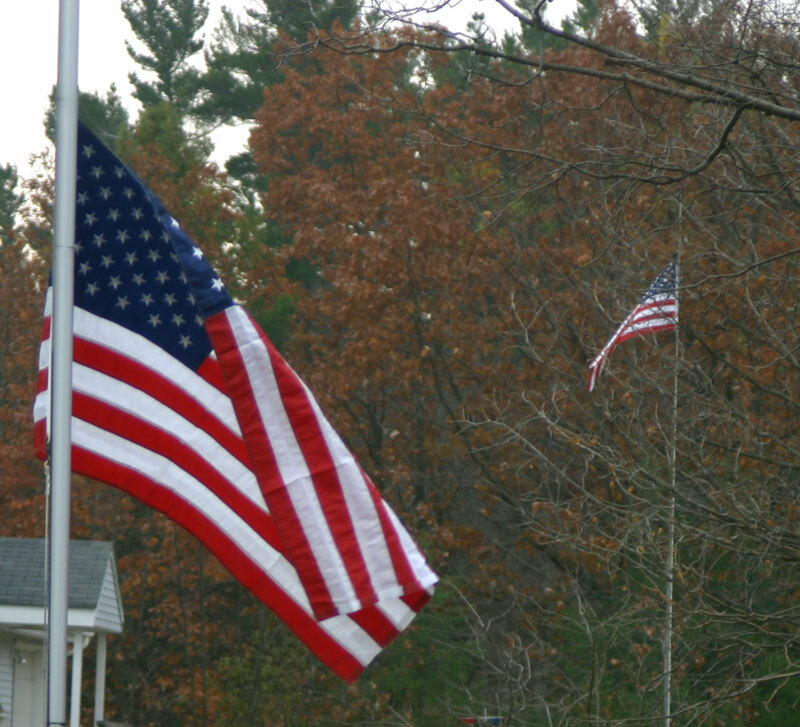 In lieu of flowers, donations may be sent to the Charlevoix County Community Foundation, Beaver Island Medical Center Fund, Box 718, East Jordan, MI 49727 . As we were reminded in his talk, this day was called Armistice Day, but was changed due to the other wars in which the United States has been involved. This holiday is usually on November 11th, but this ceremony occurred on November 12th. 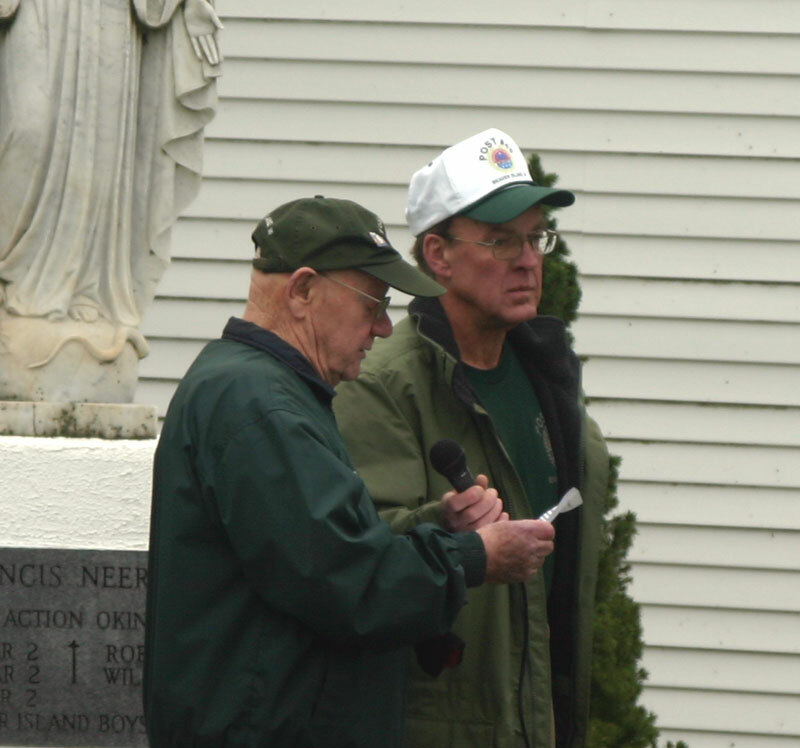 All interested persons gathered at the Holy Cross Memorial for this celebration of honor for the veterans of our country. 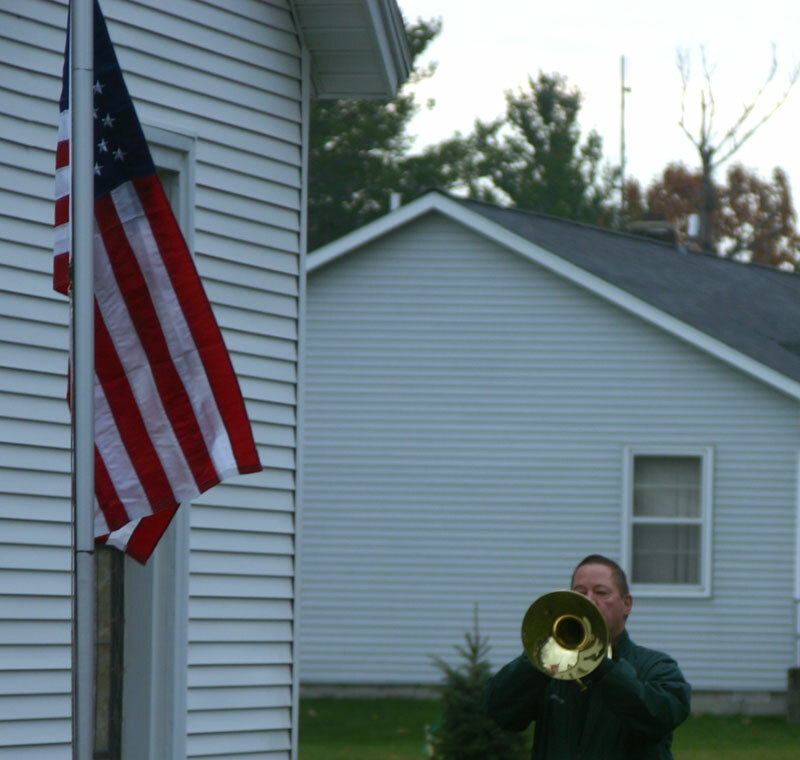 As the bells rang 11 a.m., the gathered veterans saluted the flag. There was a large gathering of community members including students from school. 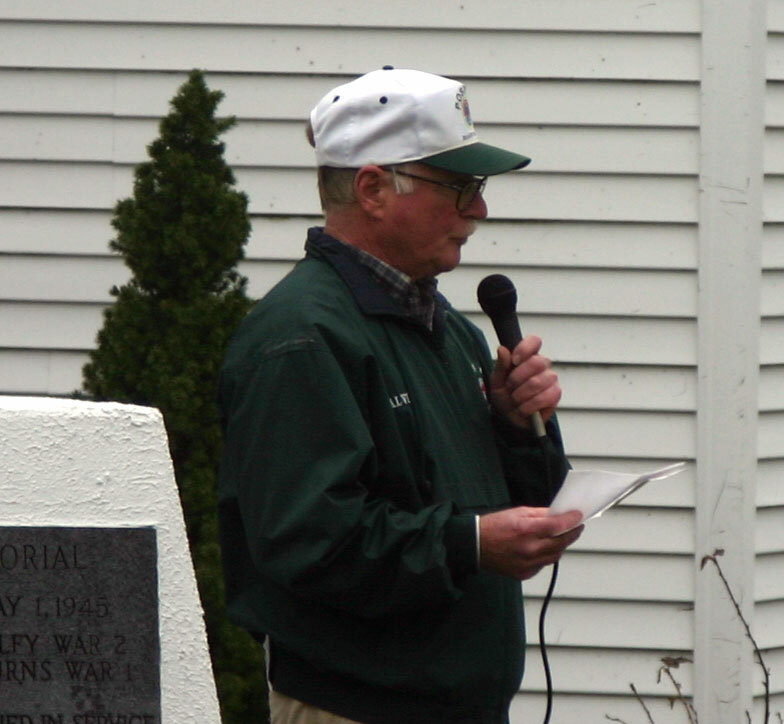 Ron Stith was Master of Ceremonies, Bob Hoogendorn, as chaplin said an opening prayer. 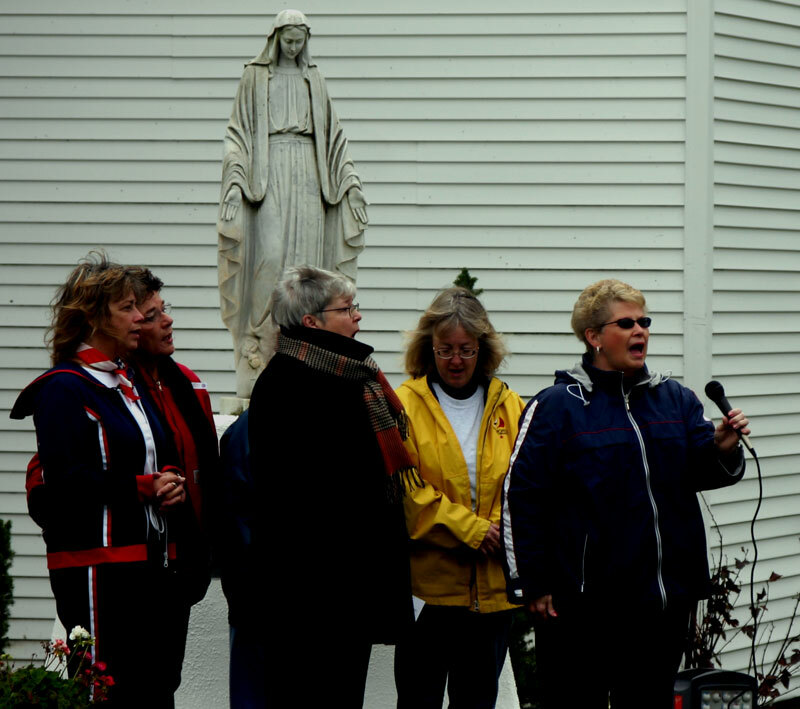 Kathy Speck and the AMVETs Auxiliary asked all to sing "God Bless America." Phil Gregg read the list of Island veteran's who lost their lives in wars. 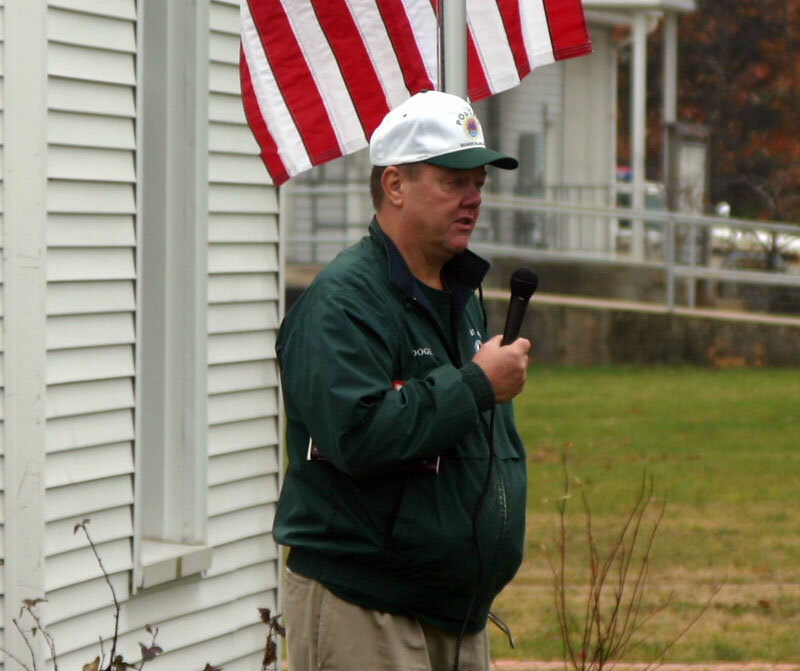 Alvin LaFreniere read an emotional story of the origin of "Taps." 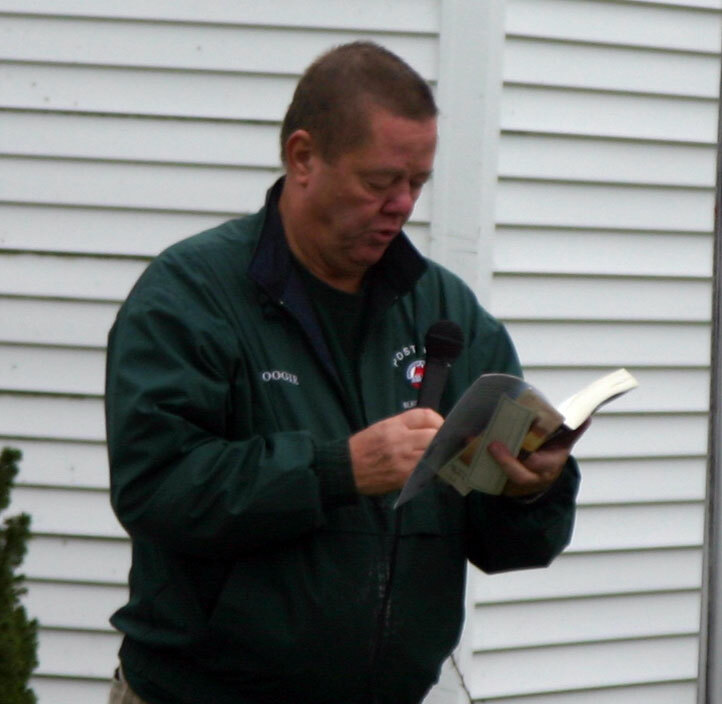 Bob Hoogendorn gave the Benediction and played "Taps." 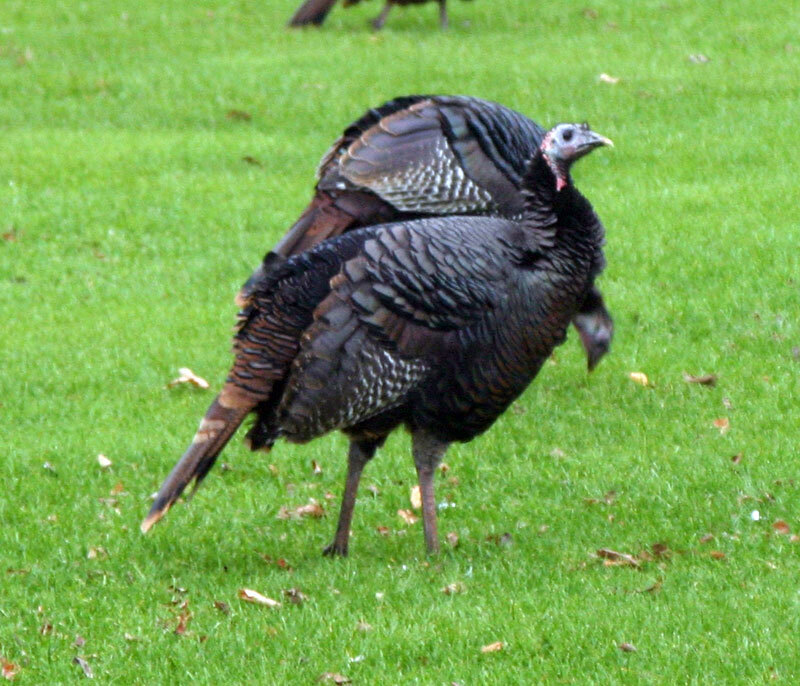 A walk around the golf course today without golf clubs netted these pictures of the turkeys enjoying the day. Interestingly enough, not one deer was seen during this walk, nor on a drive to their usual haunts. 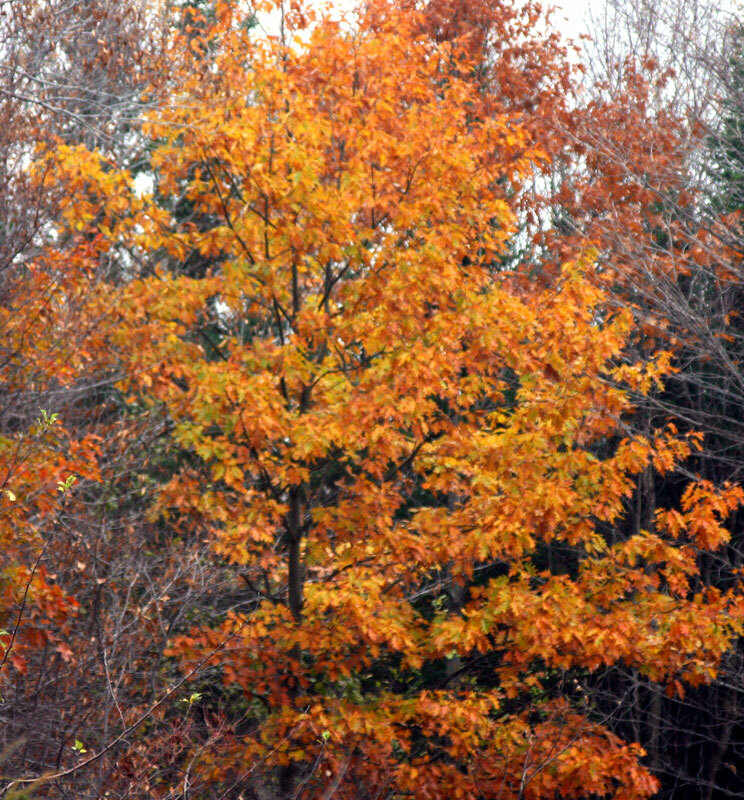 There were some colored leaves still left on a few trees, but not many. My concern for this yellowed "pine" tree was unfounded. 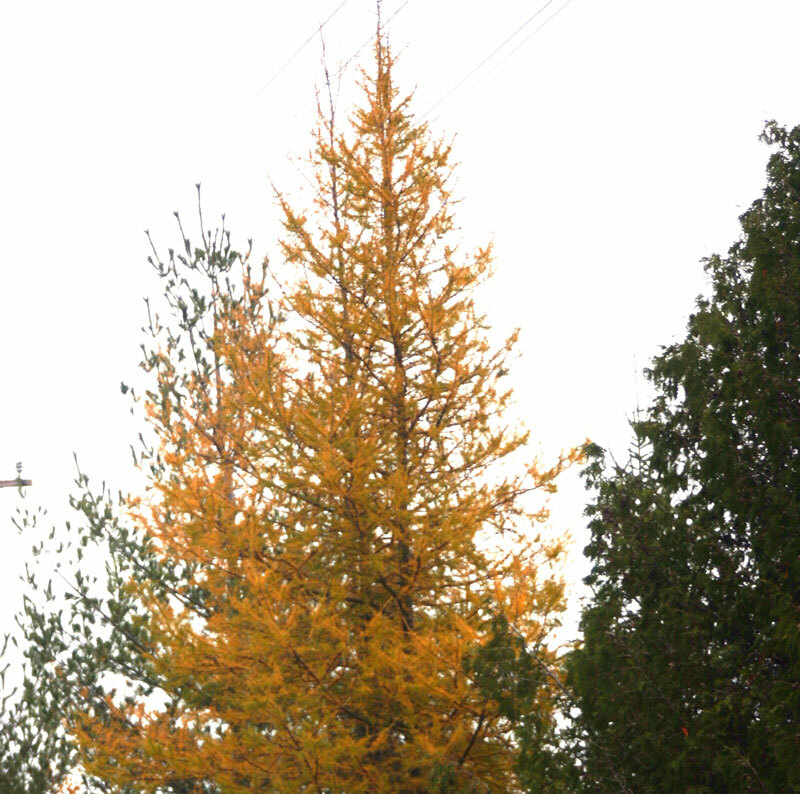 It's a Tamarack, and it's supposed to look like this. 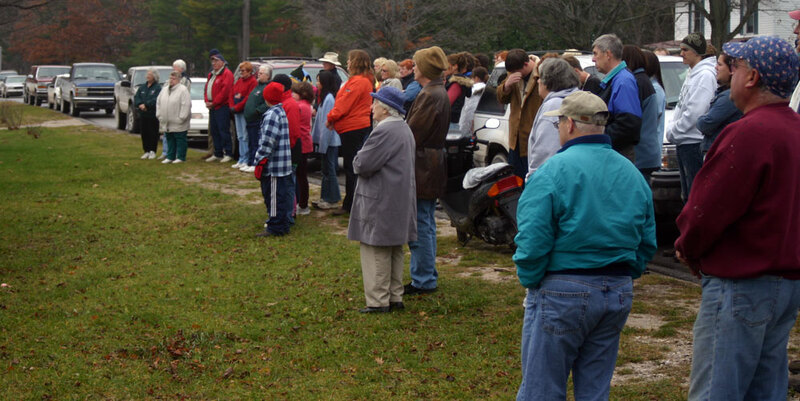 Approximately 25 people attended a community meeting on October 1, 2007. Attendees heard about progress and were able to give input on the project. One item that all in attendance agreed upon was the need to consider adding a fitness room to the project if possible. All were impressed with the architects concern for providing the best possible learning environment for our students. The board will hire a Project Mananger on November 12, 2007. The Project Manager will act as an owners' representative for the duration of the process. The PM will take care of a lot of the paperwork and oversight of the project and will act as a liason between the school, the architect, and the general contractor. Five bids were received for the Project Manager position and three will be interviewed for the position. 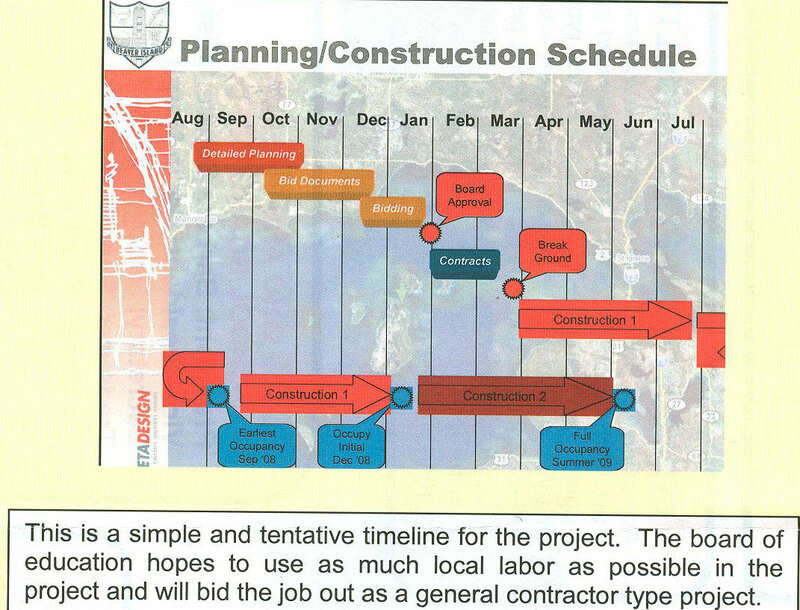 Both of the following were scanned from the "Construction Information Sheet of the BICS Bond Project." Beaver Island Community School is accepting bids for snow plowing for the 2007-2008 school year. Interested bidders may obtain a bid form by contacting the school office. 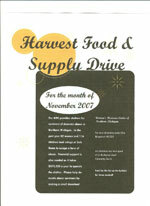 Bids must be received in the school office by 3:00 p.m. on Friday, November 16, 2007. AMVETS LADIES AUXILIARY – HOLIDAY HAPPENINGS FOR THE KIDS!! Jim Stambaugh was the only one to respond with the correct answer. The other participants in BIIP were Central Michigan University, Beaver Island District Library, and Beaver Island Medical Center. The coordinator of the technical aspects of the Internet Project was Gene Sauter of Processing Concepts Limited, a former Beaver Island business housed in Ed Wojan's office building. The first correct answer will earn a gift subscription to News on the 'Net for the months of , December, January, and February for the person of your choice. Email your answers to medic5740@gmail.com. Peaine Township Board meeting this coming Wednesday night. Minutes will be posted as soon as they are received. Currently, no minutes have been received from either township for the last three months. The AMVETs Lady's Auxiliary is putting on two functions coming in December for the children of the community. You can find out more if you read the article above. Thanksgiving is just around the corner, not that far off, less than two weeks. 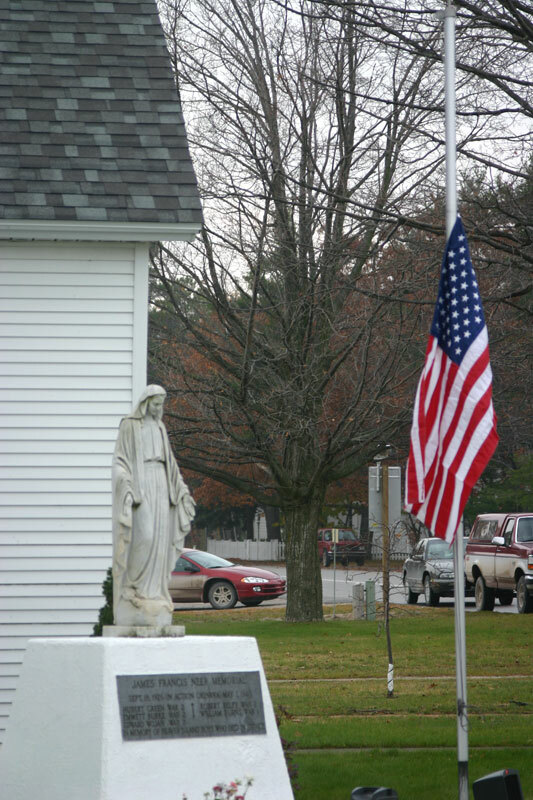 Don't forget the Ecumenical Church Service at Holy Cross usually at 10 a.m. on November 22, 2007. BI Christian Church Thanksgiving Dinner will be held at the non-denominational church on Thanksgiving beginning at 6 p.m., November 22, 2007. The rumor I am talking about is the one that suggests that Beaver Island does not need ALS, Advanced Life Support. I will address this rumor since I provided Advanced Life Support to the Island as the only paramedic for four years. And, in case some have forgotten, I taught the current paramedics, EMTs, and MFRs. Did anyone ask the man who was transported aboard the USCG Cutter Biscayne Bay if he thought that Beaver Island should abandon the ALS treatments that were received? Has anyone asked the cardiac arrest patient who survived if the advanced treatments that were received were valuable to the patient and family? Does the public know that 82% of the yearly ambulance transports require advanced life support due to patient condition, not convenience? Did you know that our ALS service affects more than thirty people each year? Advanced Life Support is provided on Beaver Island by the paramedics of BIEMS. The advanced care provided at the BIRHC, if the patient is transported from there, is continued by the paramedics of BIEMS. Did you know that the BIEMS paramedics can provide the same treatments at the patient's home, for some conditions, that the patient would receive in the emergency room? Did you know that BLS, basic life support EMTs and MFRs, are not allowed to provide this level of care? Did you know that a registered nurse is not allowed to provide this emergency care in an ambulance? Advanced Life Support has become a part of the culture and part of the success of Beaver Island. It is part of what people expect when they come to visit our Island . It is an essential service that is called upon at least 90 times each year, which averages out to once every four days or almost twice each week. Are there people who are alive today that are alive because of Advanced Life Support? The answer is YES . Are there people who were made much more comfortable in their transport to the hospital because of Advanced Life Support? The answer is YES. Is Advanced Life Support needed on Beaver Island ? The answer is YES.